This is the page for the Flanders FD. They have 2 engines, 1 rescue truck, 1 tower ladder truck, 1 brush truck, 1 utility truck, and 1 ambulance. 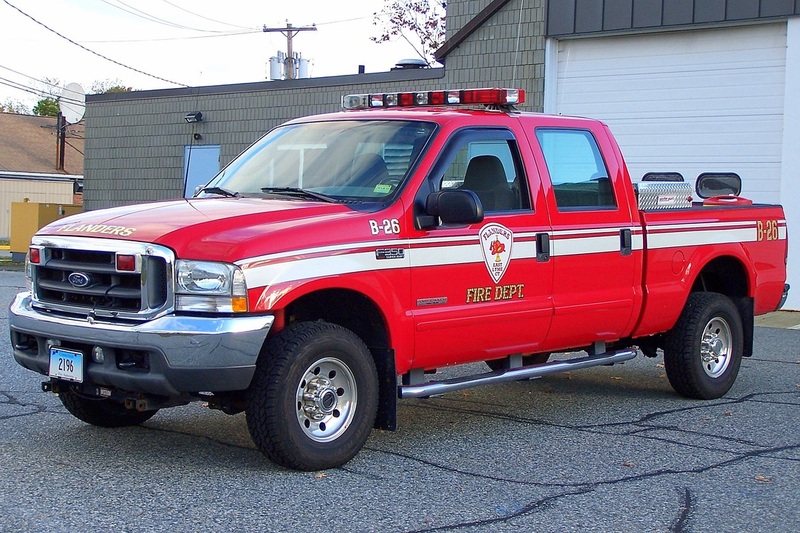 Flanders' Brush 23, a 2003 Ford F-550/FireOne brush truck. Flanders' Ambulance 200, a 2011 GMC/Lifeline ambulance. 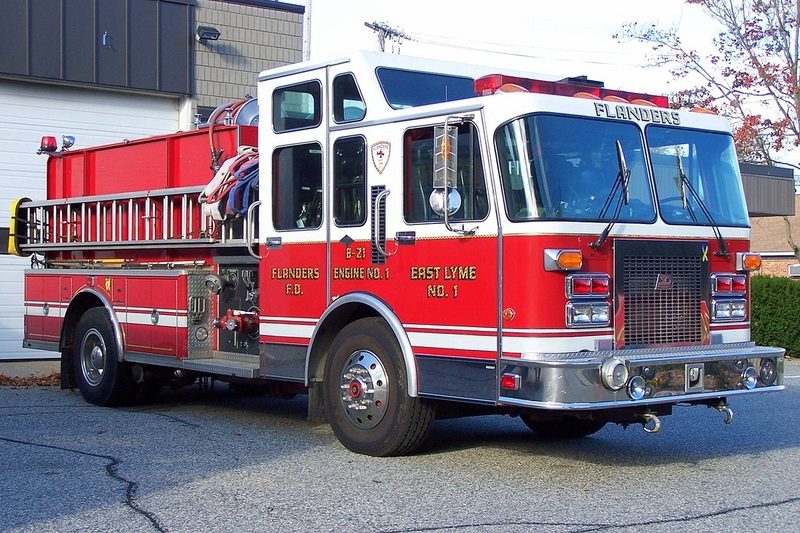 Flanders' Engine 21, a 1995 Spartan/3D engine. 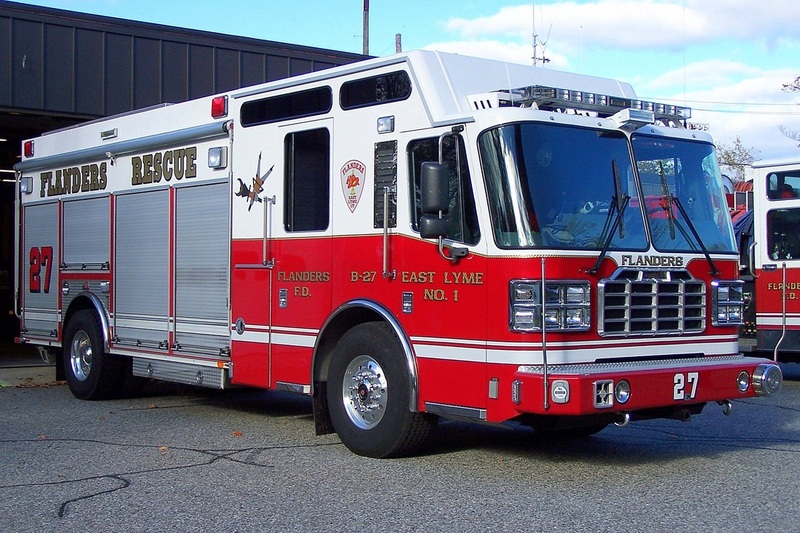 Flanders' Rescue 27, a 2009 Ferrara Ignitor heavy rescue truck. 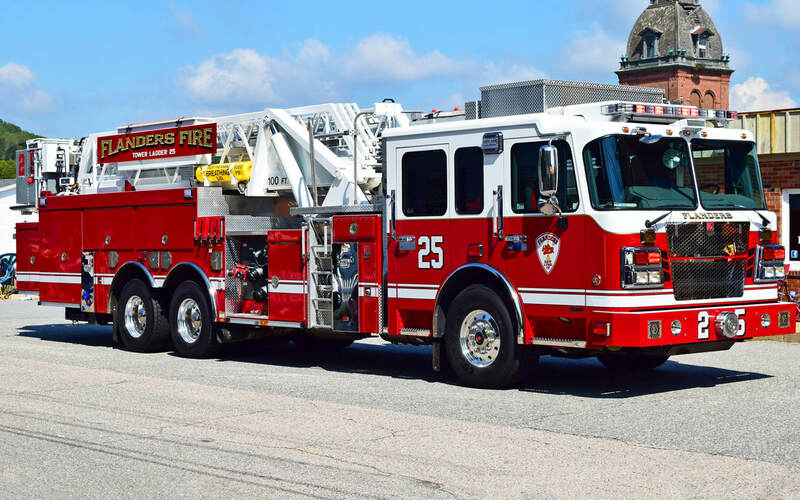 Flanders' Tower 25, a 2015 Spartan/Smeal 100ft MMA. Flanders' Utility 26, a 2003 Ford F-350 pickup truck. 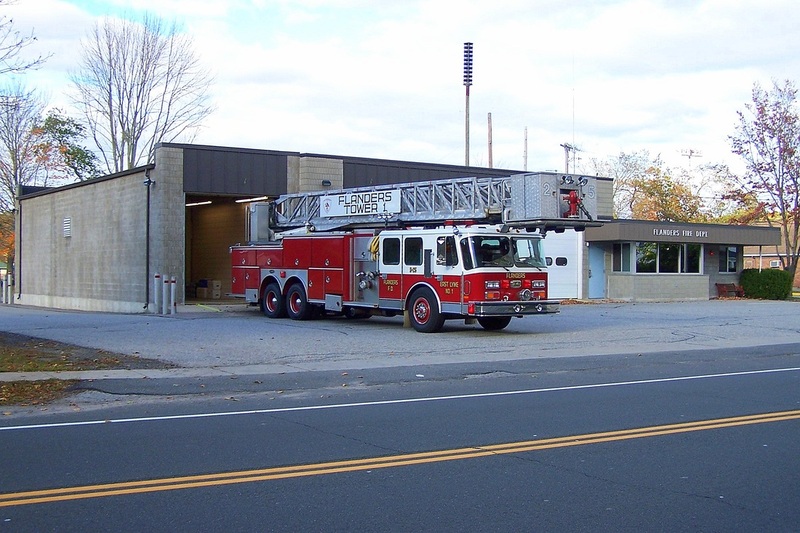 Flanders' Fire Station, located at 151 Boston Post Road in Flanders, East Lyme, CT.